Feel the warmth of flavours with a blend of health and taste in this hearty soup. 1 Pressure cook the vegetables and sprouts in half the quantity of water. 2 Add the remaining water to it along with grated ginger and Knorr Mix Veg Soup. 3 Simmer until the water has reduced to half its quantity. 4 Add cumin, pepper and let it simmer for a few minutes. 5 Squeeze in lemon juice and mix well. 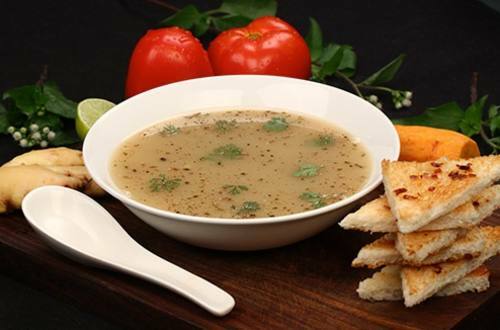 6 Garnish with chopped coriander leaves and enjoy the wonderful blend of vegetables!